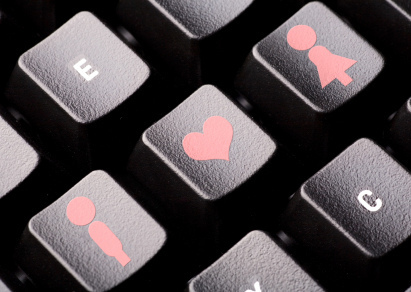 Is It Possible To Be Completely Authentic In Your Online Dating Profile? When I’m looking through online dating profiles, or checking out the profiles of guys who have emailed me-for the most part, everyone sounds SO wonderful on paper. For some reason, I attract a lot of outdoorsy/adventurous types-mountain bikers, world travelers, surfers…almost all of them have a Master’s Degree and love sushi, wine, snowboarding and are looking for someone serious. Hmmm…if only that was the case when I met them in person! While I haven’t had any of the cliche’ horrible experiences-you know, meeting someone who posted fake pictures or pictures from years ago (DO. NOT. DO. THAT. ), or having a date with someone who is a complete fraud, there have been incidences where the profile and the person just don’t match up, and it’s definitely a let down, but I’m not so quick to judge and automatically assume that he is a misleading person, and a fake. For the most part, I don’t think that. First of all, filling out those ridiculous “About Me” sections IS HARD. Who is really going to list their faults, or things they don’t want to admit. Things that after a few dates, might become endearing or cute quirks, but without being revealed at first, since it’s online, come off as a lie. Maybe he’s really shy in person, but gives off a total charismatic vibe via his profile. You show up expecting great conversation and laughs, and end up wondering why he won’t even look you in the eye when, and if, he even speaks. These kind of discrepancies run the gamut from physical appearance to personality, and sometimes even location. I once got in an email dialogue with a handsome guy who’s profile clearly stated he lived in my area, he even brought up his favorite restaurants and places to hike. Later on in our convo, he told me that he actually lived in Kansas. He argued that there aren’t the type of women he likes in Kansas, so he started emailing girls he found interesting in other states. He said that if the connection was there, what’s a little travel between true love? While this is all fine and good-and my take on long distance relationships is another blog post-I immediately stopped talking to him because I felt mislead. I felt lied to, and it no longer mattered how funny, cute or accomplished he was. In these times, when so many of us have an online presence as well as an offline one, it’s not easy to merge the two, but it can be done and you should at least attempt to be as authentic as possible online. I also suggest talking on the phone before going out-I know some don’t agree-but I can tell A LOT from a phone call-is he funny? Do the answers to my questions match up with things he wrote on his profile? Does he seem genuinely interested or is this just a step to get into my pants? If I feel any warning signs or sense any red flags, I won’t go out with him. Skype is even better! The bottom line is, you never know what someone is going to be like until you meet them. My advice is to set the bar pretty low, and allow yourself to be pleasantly surprised. Don’t fault someone for wanting to highlight the best of themselves, but don’t be shocked when they don’t live up to what they wrote. No matter what, it’s still the internet. Would You Date a Pretty Boy?